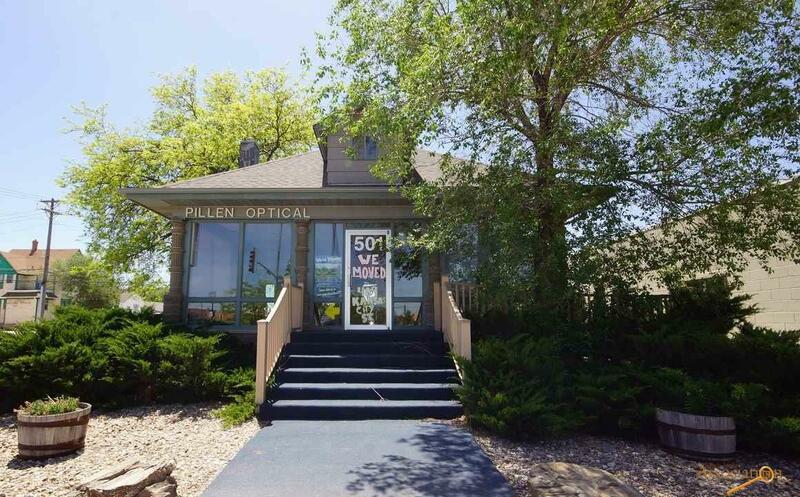 Former location of Pillen Optical at the corner of Kansas City and 5th Street, this property sees a traffic count of 21,452 vehicles per day (2016)! 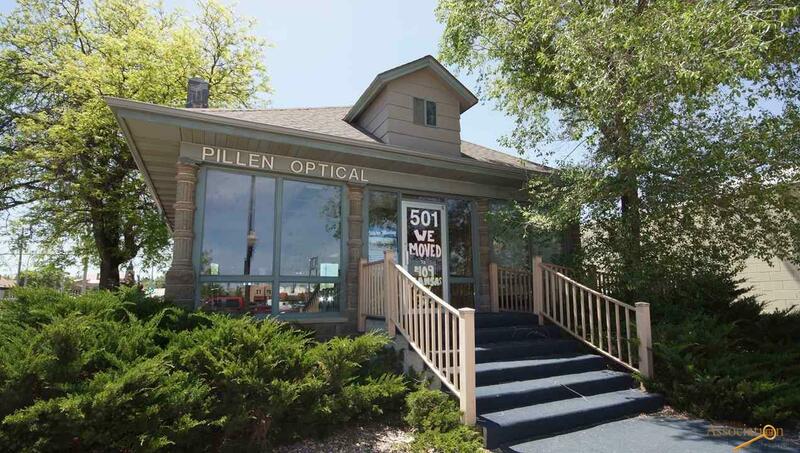 The main floor boasts 1,456 square feet of retail and office space with large picture windows and historic woodwork and built-ins. Upstairs, accessed by a spiral staircase, is an additional 680 square feet for showroom and or office space. The basement provides 1,288 square feet more for storage and includes a lot of plumbing. 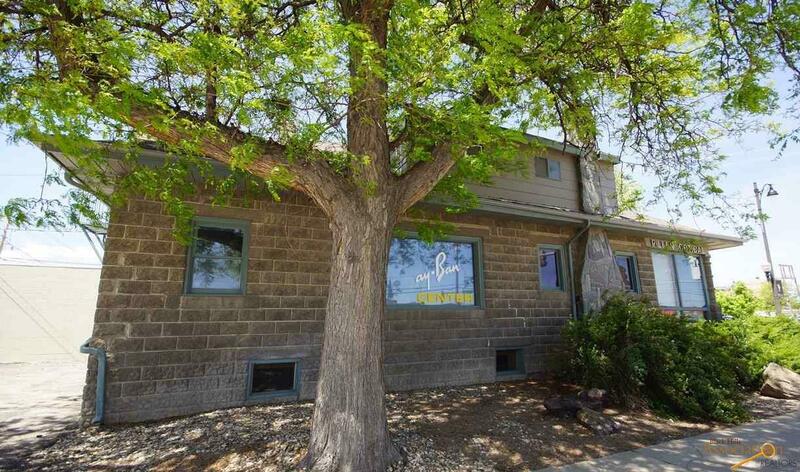 There is a multi-family residential building on 5th Street directly behind this property that could be available in this sale for expansion or additional parking. Some parking is provided in back, but zoning does not require off street parking. 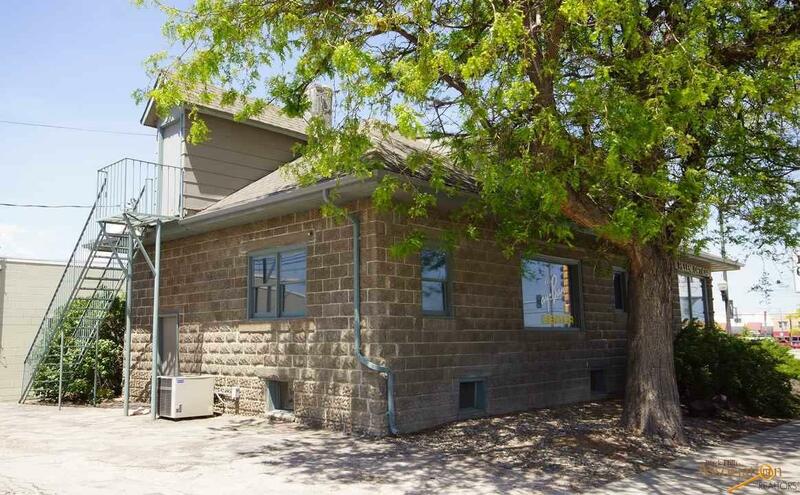 Listed by Chris Long, Keller Williams Realty Black Hills, 605.939.4489.